How to make Subscription form GDPR Compliant? How to make Contact form GDPR compliant? In the "Subscription Element Options" section of your subscription form popup type, you can see "Add new fields" section. Open the select box and choose the "Checkbox" option. Here you can add as many checkboxes as you wish, but in this case, add just one and make it "Required". 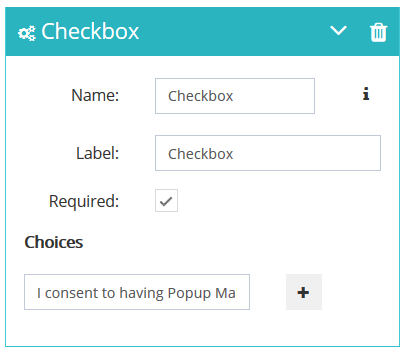 Add your text in the "Choices" box, like: I consent to having Popup Maker collect my details via this form. 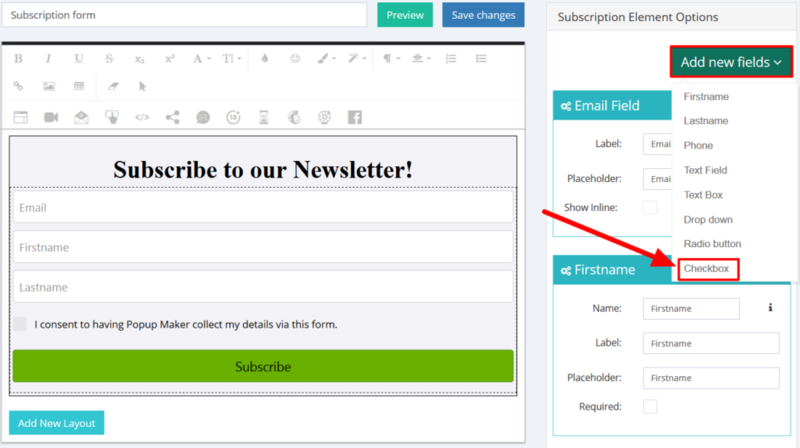 Check a detailed article for creating a Subscription popup here: How to use a Subscription form?